What is commonly thought of as a superficial skin disease may have autoimmune etiology that deserves to be examined further. 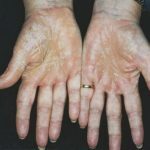 While there are no drugs specifically indicated for vitiligo, it does not mean the disease cannot be treated.2 “Overcoming this barrier is needed to get patients care in a timely fashion as response to topical therapies is best in the first few years and in particular, response of segmental vitiligo to 308-nm laser is best before 6 months,” said Dr Silverberg. “Vitiligo is not a mere cosmetic disease. It can have significant social ramifications and stigma, so it should be treated,” said dermatologist Davinder Parsad, MD, from the Post Graduate Institute of Medical Education and Research in Chandigarh, India. 1. Cadmus SD, Lundgren AD, Ahmed AM. 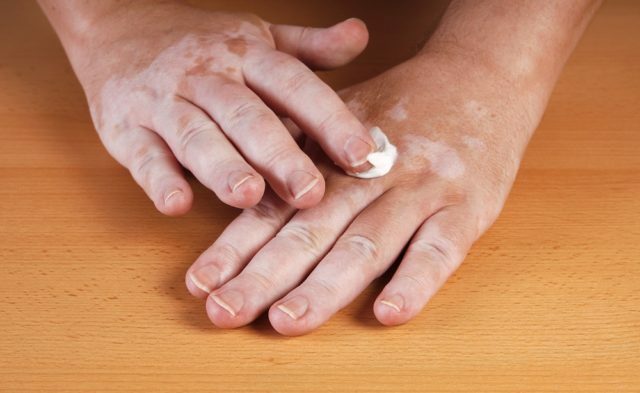 Therapeutic interventions to lessen the psychosocial effect of vitiligo in children: a review. Pediatr Dermatol. 2018;35(4):441-447. 2. Van Driessche F, Silverberg N. Current management of pediatric vitiligo. Paediatr Drugs. 2015;17(4):303-313. 3. Bishnoi A, Parsad D. Clinical and molecular aspects of vitiligo treatments. Int J Mol Sci. 2018;19(5). 4. Ezzedine K, Silverberg N. A practical approach to the diagnosis and treatment of vitiligo in children. Pediatrics. 2016;138(1).